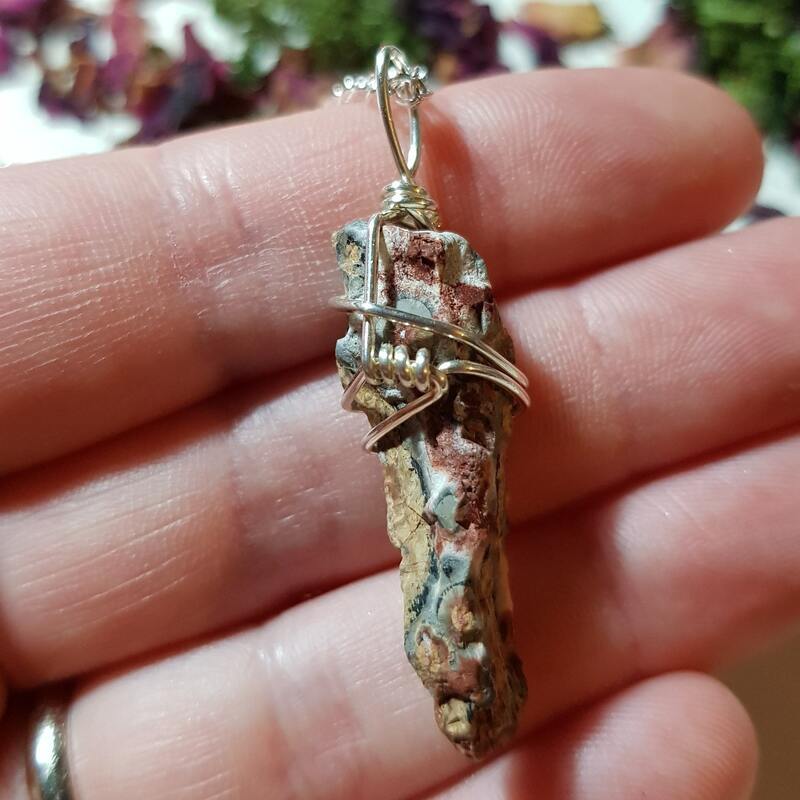 Silver plated wire wrapped raw Leopard skin Jasper necklace. 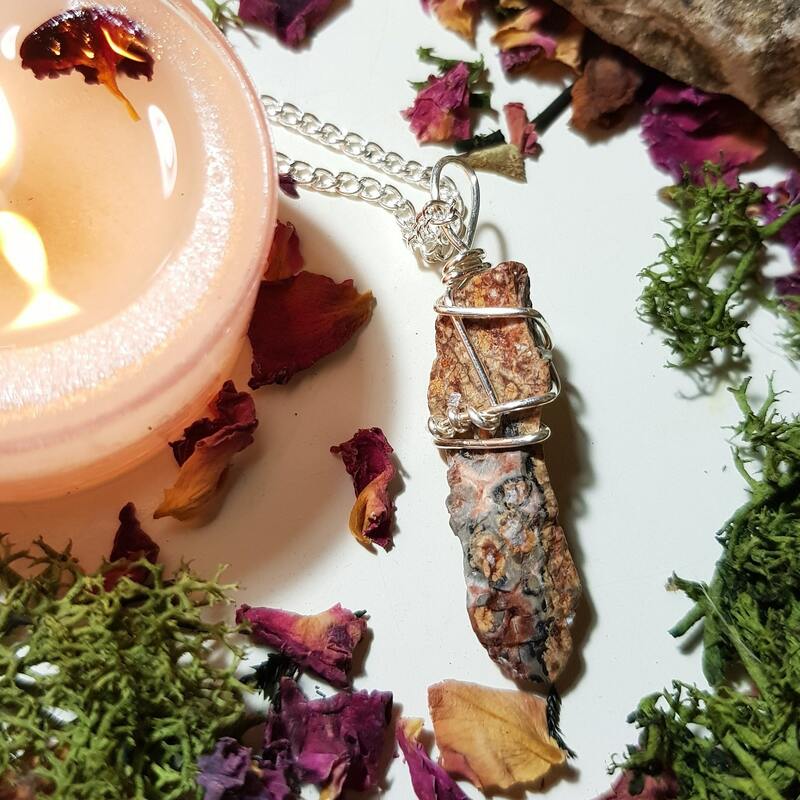 Leopard Skin Jasper is also a stone that will help you with your journeying and out of body experiences. 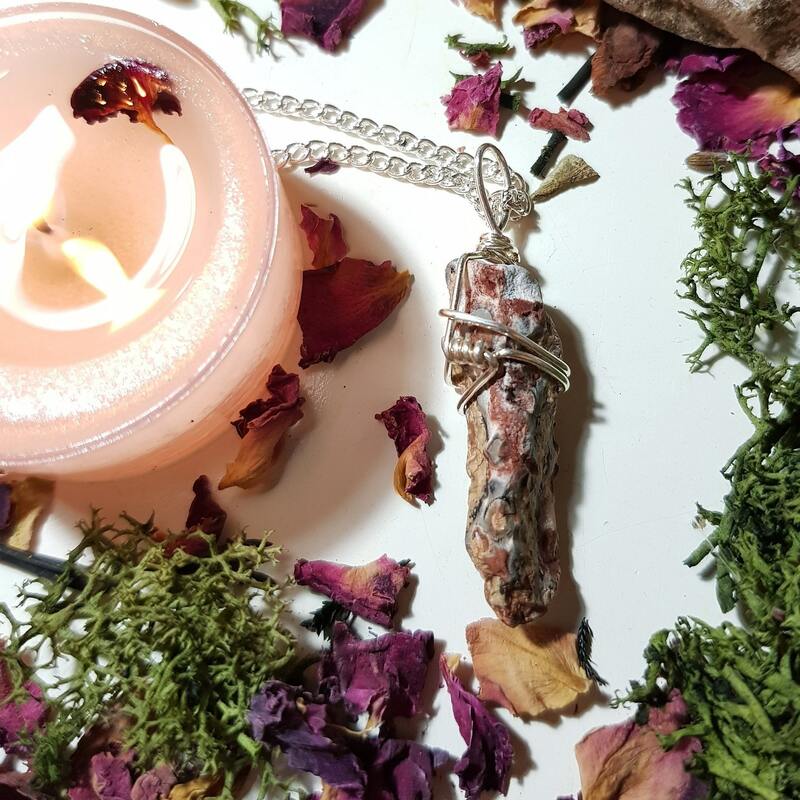 It's a powerful protection stone that will keep the negative energies away. Like the rest of the Jasper stones, Leopard Skin Jasper will give you strength and vitality. Pendant measures approx. 4.6cm x 1.3cm and necklace measures approx. 50cm. Wire, findings and chain are silver plated.